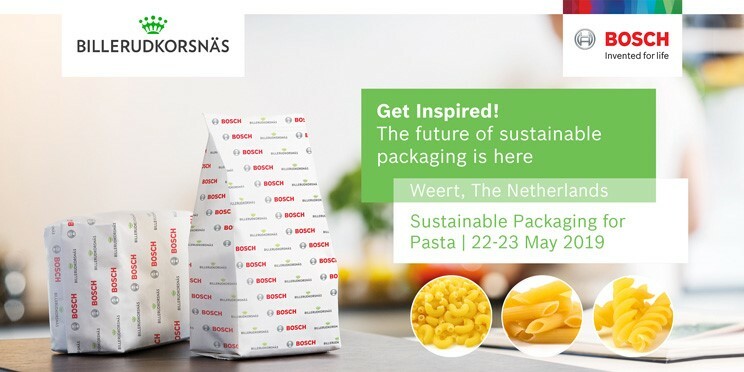 BillerudKorsnäs-Bosch invites you to the Pasta Sustainable Packaging event which takes place on May 22nd and 23rd 2019, in Weert, The Netherlands. It’s a one-day event, you decide which day that is most suitable for you. This is the perfect opportunity to increase your knowledge of Pasta food packaging technology and get insights on the latest developments from the pioneers of Sealed Paper Packaging. A live demonstration of the vertical SVE ZAP machine will show you that the future of sustainable packaging is already available at your fingertips. The flexibility of the SVE ZAP makes it possible to package some of your products in paper material and some others in recycle ready PE film. In addition we have guest speakers from the packaging and film industry as well as a Pasta manufacturer who already switched to our paper packaging solution. The open and inspiring atmosphere of the event enables you to expand your network and explore your possibilities with our experts. There is room to discuss the possibilities for your business and plan your next steps towards a more sustainable future. The event takes place at the Robert Bosch Packaging Technology B.V. site in Weert, The Netherlands. Industriekade 43, 6001 SE. You can register through the link below. For more information about the schedule, hotels and more during the event KLICK HERE. Keeping your best interests at heart, Bosch Packaging Technology has recently developed a secondary packaging system solution consisting of the Kliklok Integrated Topload Cartoner (ITC) and the Elematic 1001 sideload case packer. Combined, they offer powerful benefits that solve your daily challenges. Firstly, the new Bosch solution answers your need for a simple yet efficient system with minimal footprint needed. 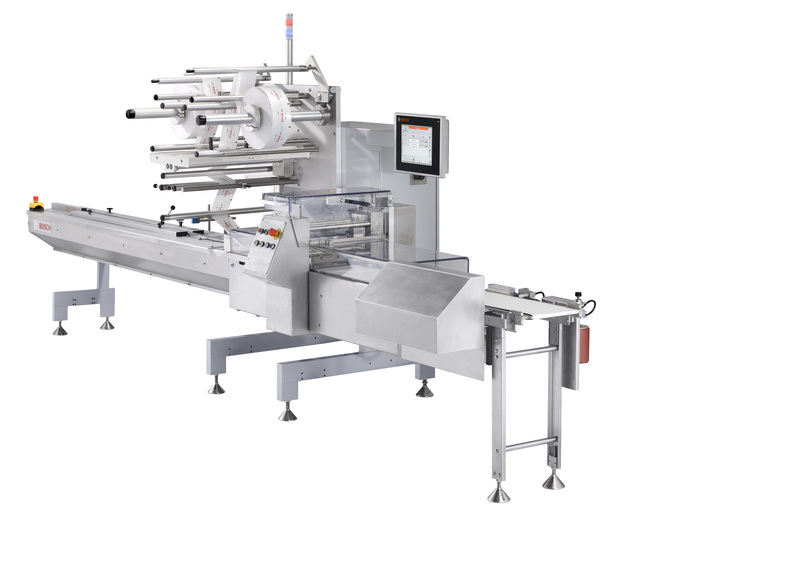 It is possible thanks to the unique design of the Kliklok ITC, which combines three packaging processes – carton forming, product loading, and carton closing – in one machine producing up to 80 cartons per minute. 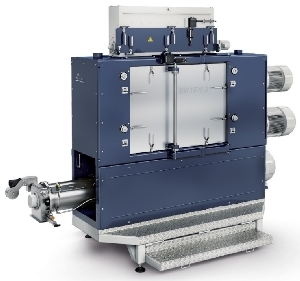 The minimal footprint of the Kliklok ITC is enhanced by the ergonomic design of the Elematic 1001 SL. Thanks to such features as low magazine height for easy loading plus high visibility during the packaging process, the case packer is efficient and user-friendly for reliable production. In today’s busy world, food producers need to switch from one format to another – sometimes as often as three times a day. Therefore, it is important to invest in a solution that offers fast and easy changeovers as well as a vertical restart. 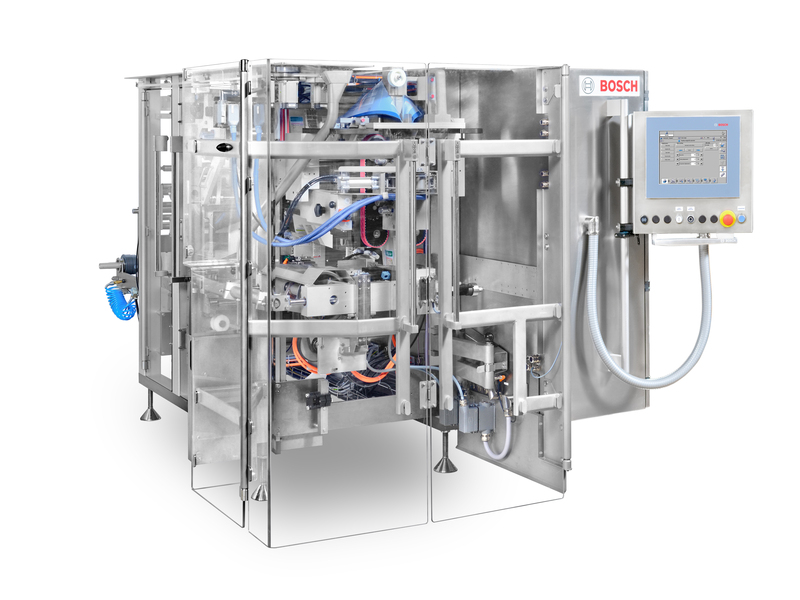 Bosch’s latest system solution enables you to pack flow wraps, roll wraps or die-fold into cartons which then go into RSC cases ranging from small to very big collations, including big formats of up to 600x400x350 mm. We all know how machine downtime can ruin a perfectly planned day. To avoid any delays in changeovers, we designed our secondary system solution to make its operation and maintenance as easy as possible. One example is the ergonomic design, which saves labor costs as one person can effectively manage the tool-less changeover in less than 15 minutes. Moreover, most of the important machine parts (like magazine, HMI 4.0, glue tank, and product infeed) are all on one side of the machine, allowing easy access and faster cleaning. Plus, the machines have an open frame design without hollow bodies to fulfill the growing hygienic demands of customers. With Bosch’s system solution for secondary packaging the small footprint saves you space, the ergonomics save you labor costs and the fast, tool-less changeovers save you time. Now you can produce cartons that not only protect your brand reputation, but also fulfill the needs of the whole logistic chain. Importantly, the whole system is easy to operate as it uses the same HMI for the same touch and feel. Want to learn more? Get in touch with the Bosch team to find out how we can help you or visit www.bosch-cartoning-casepacking.com. Använd vår promo kod: xmszwh för att printa din gratis biljett här. Vår monter B03:20 är markerad med grönt på kartan. 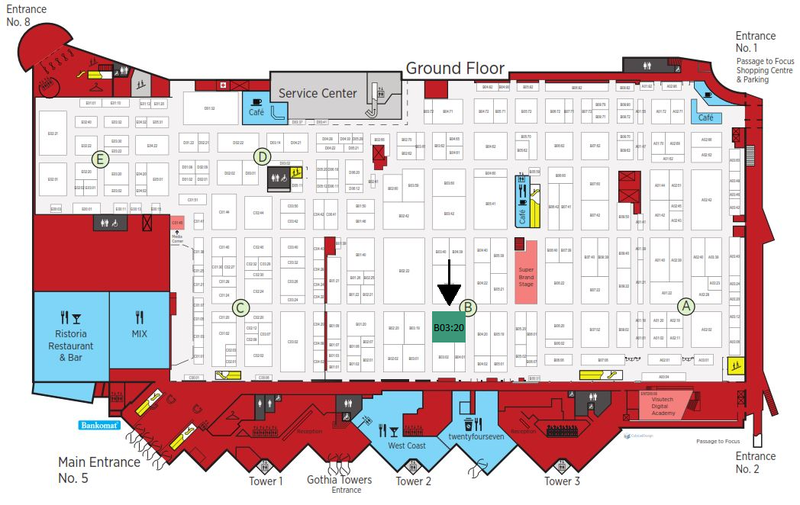 During ScanPack Bosch will exhibit two of their machines at our stand. The SVE 2520 DZ machine is a versatile machine that produce pillow bags, bags with side gussets, block bottom bags, block bottom with corner sealing and Doy-bags with or without ZIP-reclosing. The vertical bagger is designed to be easy to use, convenient to clean and format changes are performed safe and easy. Typical products packed on a Bosch vertical bagger are sweets, chocolate, biscuits, bakery products, coffee, sugar, spices, flours, cereal, snacks, chips, nuts, dried fruit, deep frozen berries and vegetables, salads and breakfast products like cereals or granola. The vertical bagger is also suitable for meat-, fish-, and seafood products, grated cheese, cheese cubes and techno chemical products. The Bosch pack 201, a horizontal flowpack machine is designed to be easy to use and clean, format changes are easily done, and the machines are safe to use. The Pack 201 is suitable for both manual and automatic product feeding. Typical products packed with Bosch Flowpack machines are chocolate bars or tabs, biscuits, crispbread, fresh goods, cheeses, technical products, diagnostic products and cards. Flowpack machines are also suitable for baked product like buns, doughnuts, muffins and pies. Biscuits and crispbread can be packed either on pile, on edge or grouped in a tray. Mekitec will exhibit their smallest x-ray machine MEKI™ at our stand during ScanPack. The MEKI™ x-ray machine is one of the smallest food quality inspection machines on the market and can manage products up to 230mm in length and 100mm in height. It is easy to control, and you can easily switch programs due to its simple and easy to understand HMI control system. MEKI™ X-ray devices recognize metal, bone, stainless steel, glass, stones, hard plastic and HD-plastic. The MEKI™ can be equipped with a checkweigher. Probat will be exhibiting their UW 500.2 grinder with us at ScanPack. The UW 500.2 grinder is Probat’s latest grinder design for coffee. 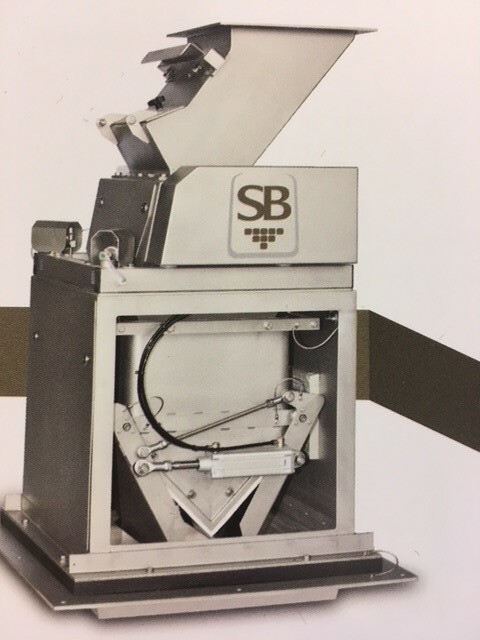 The grinder is manufactured for different types of coffee, from course ground to fine grinded espresso coffee to meet the needs of the customer. The grinder has a clean and simple design and the HMI system makes it easy to change program settings on the grinder. The grinder does not only ensure a high-quality product but also ensures easy access to vital areas on the grinder for service technicians. 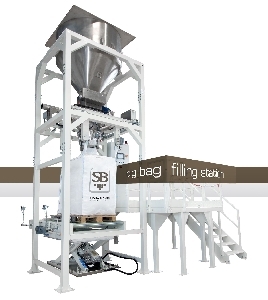 Statec Binder will showcase their weigher filling equipment for filling of sacks at our stand at ScanPack. The filling equipment is flexible with a high accuracy and easy to use HMI system. The weigher can also be used for automatic filling of Big-Bags. Statec Binder is specialized in bag filling, ranging from 5-50 kg, Big-Bag filling and palletizing. If the product is not suitable for weigher filling Statec Binder also offers a belt- or an auger filler. Smart Robotics are our newest principal and they will be exhibiting their Cobot palletizer at our stand during ScanPack. 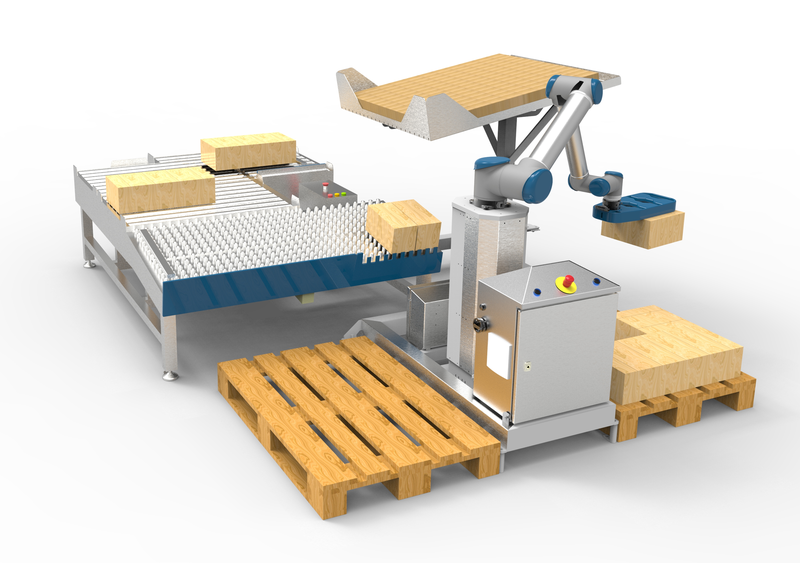 Their cobot palletizer is flexible with a high accuracy and is easy to operate. The cobot can work with people and among people and does not require fencing off. Because of the smart software, the robots can easily adjust themselves to a new assignment or changes in the environment or product range. With the smart software, cobots do not require any application dependent programming or teach-in. The Smart Palletizer is generally used at the end of a production line for palletizing products in an ultra-flexible way. Working together with people, the Smart Palletizer requires minimum space and is directly accessible from all sides. Lifting products up to 8kg, the Smart Palletizer reduces the strain on people. Kafeko Nordic has started co-operation with the Dutch company Smart Robotics, www.smart-robotics.nl. They have a totally new and smart concept to integrate cobots to work among people. Smart palletizer® is working together with people, requires minimum space and is directly accessible from all sides. It is lifting products up to 8 kg with a speed of 7 cycles per minute, in duo pick-up up to 14 boxes per minute. A new Smart palletizer® is up in production within 2 hours. Den här veckan (7/2018) välkomnade vi ännu en försäljningschef till Kafeko AB, Ulf Svahn. Ulf har en lång erfarenhet inom förpackningsindustrin, t.ex. under 2002-2010 var han ansvarig för försäljningen av Bosch packaging technology på den Skandinaviska marknaden. Ulf kommer att vara stationerad på vårt nya kontor i Skåne och kommer att ta hand om försäljningen tillsammans med Lars Andersson, Johan Hintze och Annelie Philipp på den svenska marknaden. Kafeko Nordic är från 1 januari officiell representant för det österrikiska företaget Statec Binder GmbH.